Just two years ago only one major hotel chain had committed to offering free wifi to guests, and even then it was limited to a small subset of the hotels in one geographic region. 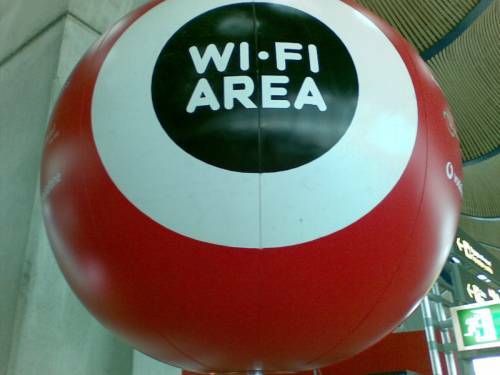 By February 2015 free hotel wifi will be much closer to the norm than the exception. Hyatt, Marriott & Starwood have all recently announced plans to significantly increase access to free wifi across the thousands of hotels they operate. And this should be good news for many travelers. That said, the devil is in the details and each of the three chains has different parameters around who gets the free hotel wifi and when. Marriott started the trend at the end of October, announcing that it would offer free wifi to all Marriott Rewards members who book directly with the brand. At the time that was announced I explained the value proposition of driving bookings away from third party resources and into the direct channels: The company saves a lot more money in direct expenses than it gives up in ancillary revenue. Plus, anything a brand can do to capture more consumers in direct booking channels is a good thing. Of course, the move also angered some travel agents, causing one group to claim discrimination. And a lot of corporate bookings are handled via travel agents, so does this really get the best customers into the Marriott fold? The Marriott program starts on 15 January 2015. Starwood followed along in mid-December with the announcement that all 1,200+ hotels worldwide would offer free wifi for members of the Starwood Preferred Guest program. Similar to Marriott the SPG offer wil require a direct booking to realize the benefit. Unlike the Marriott provision, however, SPG has made allowances for some travel agent bookings to also receive the free wifi for guests. The catch is that only travel agents using the SPG Pro system – a semi-direct booking channel which pulls those transactions out of a traditional OTA system and into a direct travel agency offering will count. This means most guests booking through the major OTAs like Expedia or Hotels.com will still be paying for wifi. The new SPG policy takes effect on 2 February 2015. Hyatt’s approach is perhaps the easiest to understand: Everyone gets free wifi everywhere. Of course, this approach does not have any immediate impact on the booking channels like the SPG or Marriott plans will. But it is also much easier to explain to a guest that simply showing up at the hotel means free wifi rather than getting into the nuance of booking channels. Great for guests but a bit harder to translate directly into the financial benefits for the company. The Hyatt benefit will take effect in February 2015, similar to the SPG offering. It is also worth noting that the Intercontinental Hotel Group extended free wifi to all IHG Rewards Club members in 2014. Believe it or not there are some customers expressing concern about these announcements. There are two main arguments being made. One group of guests is concerned that the value of their loyalty is being diminished. Because free wifi used to be limited only to the most frequent guests – those with elite status – the new rules lessen the value of that elite status. Another concern is that with so many more customers potentially accessing the same infrastructure there will be more contention and those who are willing to pay for service (or have their company pay) will now be forced to share the limited resources. To address these issues many of the chains will be offering tiered service levels and the elite members will have complimentary access to the higher tier. This is not necessarily a perfect solution. It still depends on having sufficient total capacity, something many hotels struggle with even before the influx of free users hits early next year. Overall it is hard for me to see enough negatives in these announcements to override the inherent benefit which is access to connectivity as part of the infrastructure a hotel provides, just like electricity and running water. Maybe I’m biased because I’m already convinced that hotel elite status (and the attendant brand loyalty) is a waste of money. But I see these changes as a big win in general. For nearly everyone. Unsurprisingly, is the notable omission of Hilton from the list. While Gold and Diamond members do reveive free Wifi, the speeds are horrendous unless you pay for “Premium” service. Going to be hard to beat Hyatt in this current race. Marriott is applying to FCC to be able to BLOCK non-Marriott hotspots! The reasons should be obvious. They want to corral everyone to their “free” WiFi, which at the “free” level is terribly slow and only going to get worse when everyone is now on it. Then of course it’s not satisfactory for voice or video, they upsell you to the paid level. I often use 4G/LTE data off my phone to work around the pitiful hotel services. Better to stop calling it “free” and call it “included”. And if Marriott gets it’s way it’ll be mandatory, like airlines adding “fuel surcharges” or “miscellaneous” to your fare.